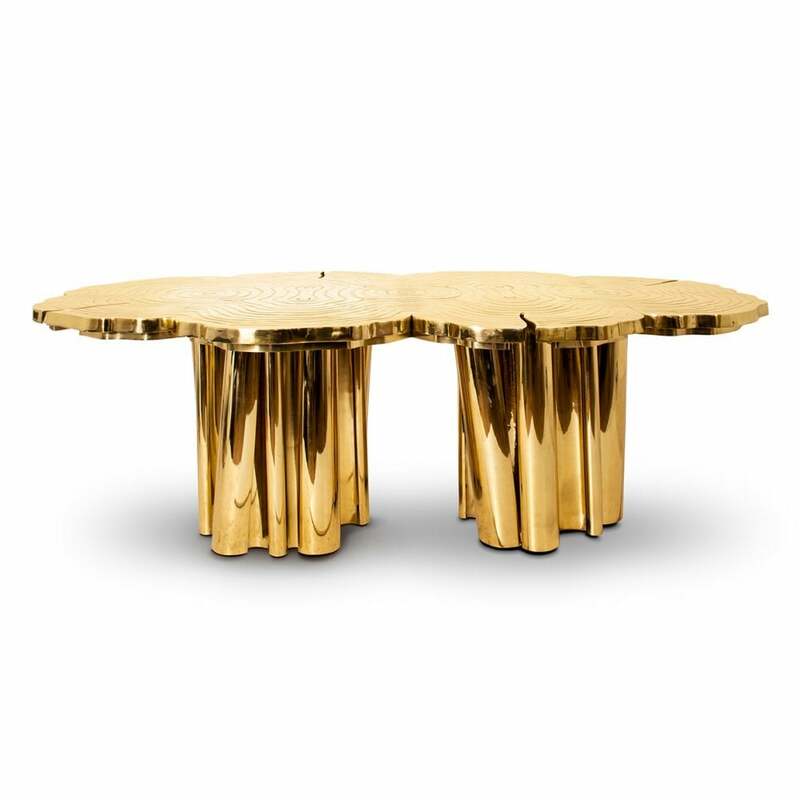 A fresh contemporary dining table and a shimmering statement from Boca do Lobo. Fortuna represents the materialization of luck and fortune, a symbol of the control of life and the definition of fate. An elegant composition of scaled brass tubes supporting the outlines of log rings in brass, related do the time life of a tree. Available in iron and copper (polished, brushed or raw).